Complete the look with a custom enclosure. 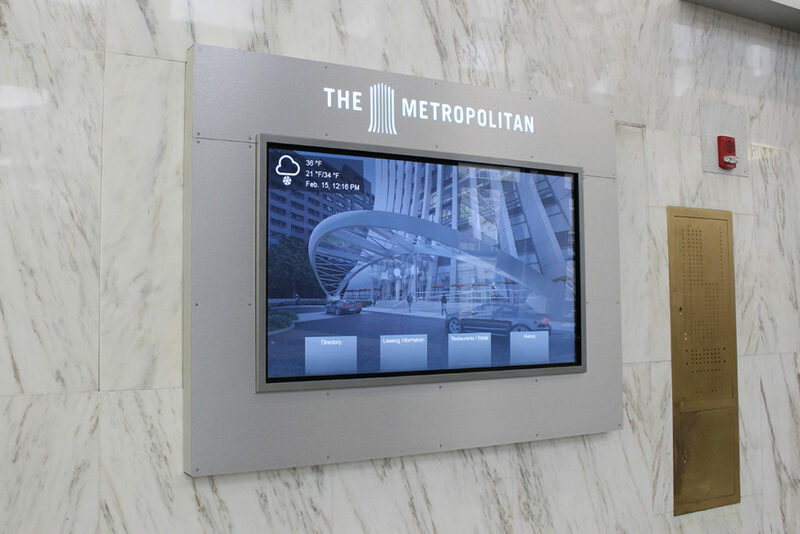 Finish your signage process by picking out a frame that perfectly fits facility’s and atmosphere. 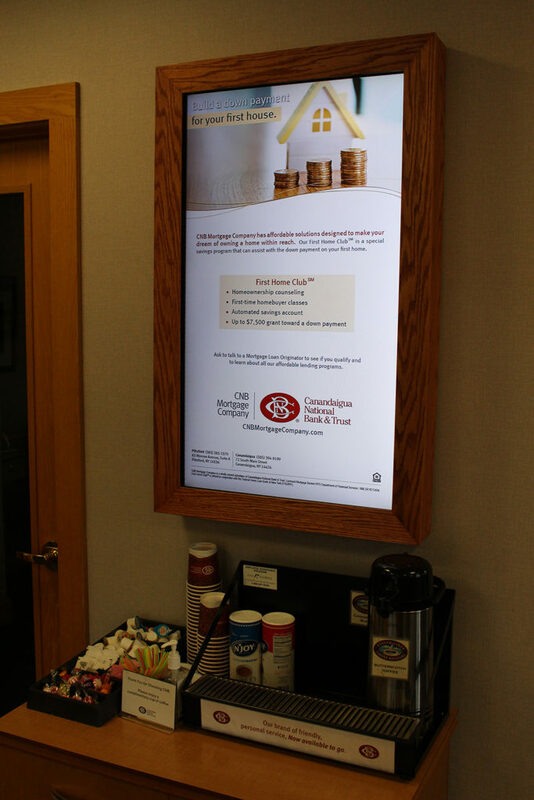 Our beautiful custom frames make the perfect addition to your digital signage. Each frame is custom built to fit your sign impeccably. It doesn’t end with frames! 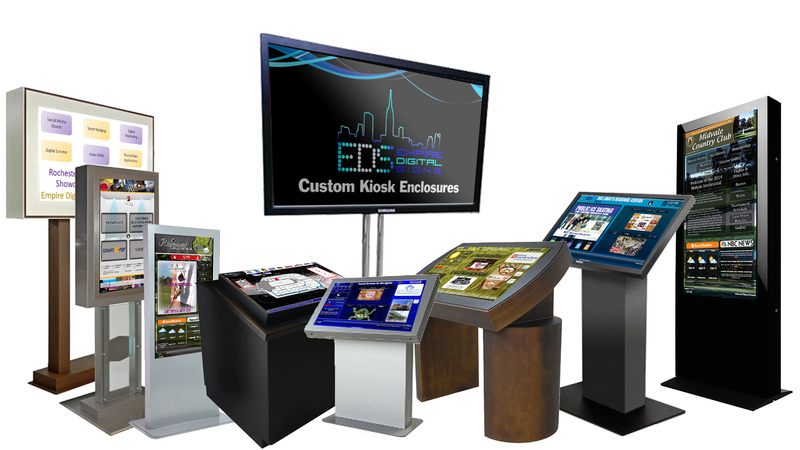 We also offer custom built enclosures and pedestals for both standard and interactive displays. We work with custom framers, carpenters and hardware providers to offer any custom enclosure you can imagine. 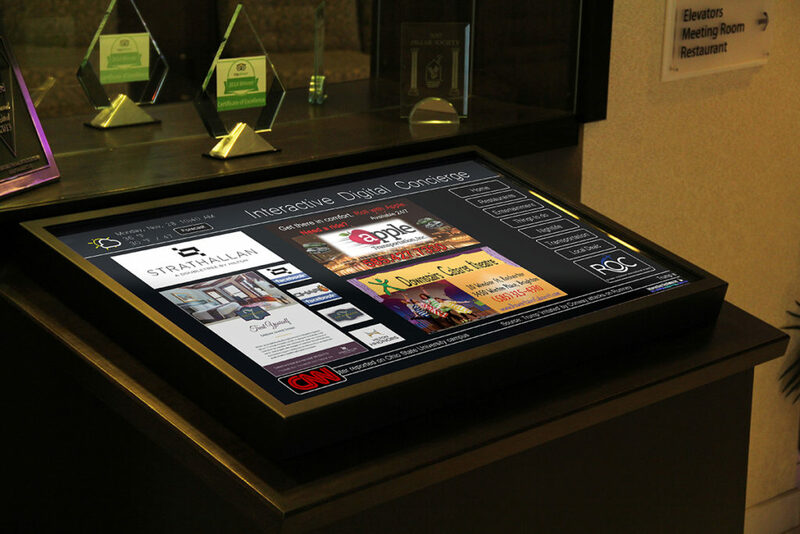 Let’s work together to design the perfect home for your digital sign today!